If you have purchased a domain name from Godaddy, you get some extra benefits also. They are currently offering a free email account with 1GB storage space with each domain names you buy. So you can create one business e-mail address (eg: admin@yourdomain name) without having to purchase additional email accounts from them. This offer is not limited to new domain names. Right now they offer one free email account credit with the hosting also. It is very easy to create and set up a free email account in Godaddy. You should note that once you have used full free email credits in your account, you may need to buy professional/personal email/business credits. 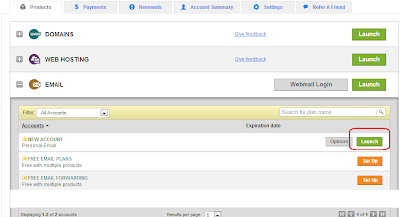 The procedure to create free Godaddy mail account is listed below. Click on Setup button at "Free Email Plans"
You must select the "Which account type, size, and region do you want to use? What's my region?" from the drop-down menu. It is important to note that you cannot use two regions for two accounts created for a single domain name. For example, if I create an address admin@corenetworkz.com in Asia region, I cannot create another one like info@corenetworkz.com for US region. The second one should use the same region selected for the first one. 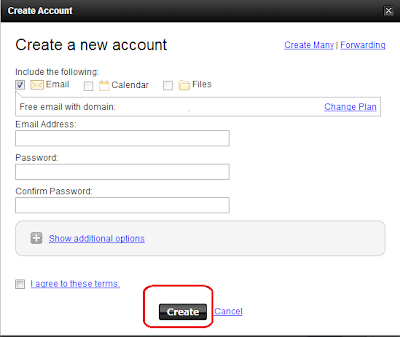 Click on Setup after selecting the region and type of your free account. Now you will see "Free email with the domain" under email. 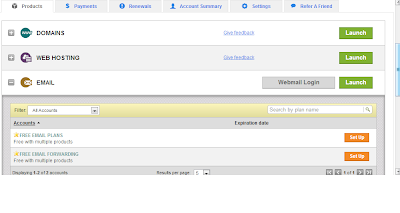 Click on launch to start creating free Godaddy email account. Enter the desired address and other details. Click on create to finish the process. Now you will get the confirmation. You can log in to your mail account by using the username and password you created. To log in, click on the link below. If you purchase an expired domain name through Godaddy and if it was previously hosted with them, you may face difficulties in hosting the domain name with them again. To read full details about this issue and steps to fix it, visit the link below. When you host your website with Godaddy, there is an alternate method to verify your domain name in Google Webmaster tools. It is by the default webmaster id provided. To learn more about it go to the link below.